This isn’t the first time in recent months this has come up. Late last year, Mimi Bekhechi of PETA UK wrote in the Huffington Post about fur farming and made similar claims. 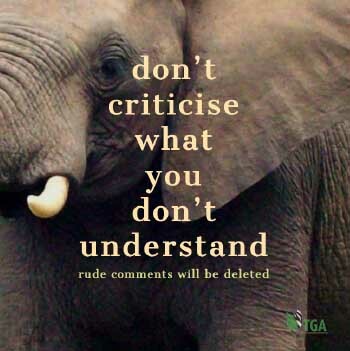 However, the lack of details behind PETA’s arguments was startling. There was a video that purported to show what fur farming is ‘really like’ – but every attempt we’ve made to find out more about those alleged abuses – where, when and by whom – has been stonewalled. It’s also easy to show “examples of animals who have endured lives of severe pain and suffering” and show sick animals when carefully editing a video from any kind of farm. As I’m sure sensible people are aware, all animals sometimes get sick. Dairy and fur farms are no different. But in the European fur industry, such incidents are kept at a very low level in comparison with other animal industries. For example, only around 0.1% of housed mink have serious wounds. Similarly, when inspecting 422,176 mink in 2009, the Norwegian Food Safety Authority found issues in the form of wounds, inflammation, dead tissue or disease in only 0.078% of the animals. It’s all very well to talk of animals in squalor and deprivation, but the IFF rarely gets any details it can investigate rather than just a carefully edited and helpfully anonymous video designed to tug on the heartstrings. And “naturally shy” wild mink and foxes may like to live in a certain way, but the animals in farms have been bred in farms for generations and are far removed from their wild cousins. There are strict methods of slaughter laid down by the Council of Europe, under which all agricultural farms operate, including fur farms. They don’t drown animals and they certainly don’t skin them alive. The regulated fur industry is highly transparent. Many European countries, such as Denmark, now operate an ‘open farm’ policy inviting members of the public to visit farms to see for themselves the welfare standards in force. Fur farming has more stringent controls and welfare standards than most other forms of animal farming. We are committed to developing higher standards all the time. All our members have signed a code of conduct covering welfare and the environment. We have an Origin Assured (OA) label to show which countries have regulations in place and we are currently looking at new technology to strengthen traceability. We firmly believe everyone has the right to their own individual choice with fur. If they don’t want to buy or wear it, that is fine. Unlike some organisations, we don’t want to force our agenda onto other people. 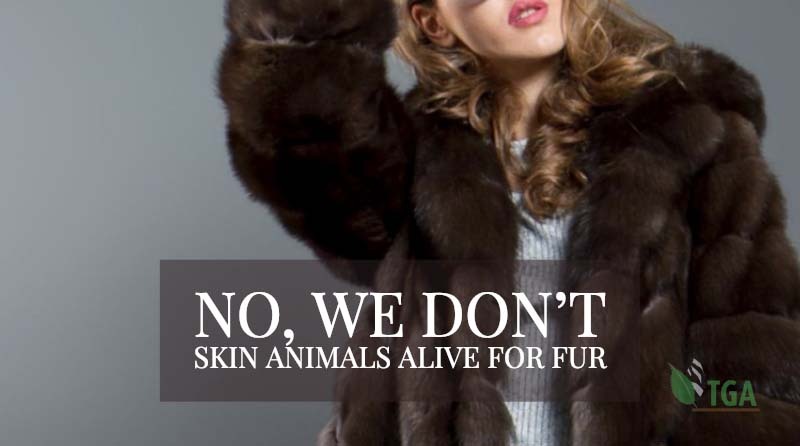 What we do want, however, is to assure everyone that skinning animals alive is unacceptable, barbaric, utterly impractical, and nothing to do with the fur items found in shops and on catwalks around the world. Setting to one side the question of fur being worn because it’s fashionable, simple and everyday logic and common sense would have us understand that the practice of skinning an animal, whilst it’s alive and conscious, would be firstly, impractical to the point of impossible, and secondly, needless. The pain caused to an animal by being skinned whilst conscious would be such that the person performing the act would be at serious risk of being injured, either by the equipment that they’re using, or by the animal itself. The simple fact that no animal could be expected to accept the pain and so would be highly unlikely to keep still …. and lastly what on earth would be the point? If those who are opposed to the trade in furs and skins wish to promote their stance, they need to focus on simple common sense, NOT flights of fancy.